In 1920, a group of alumni led by John Sprunt Hill began planning a privately owned community hotel to replace one that had burned. The new Carolina Inn opened in 1924 at the corner of Cameron Avenue and Columbia Street. Designed by Nash, the Inn continues the tradition of red brick, imposing porticos, and white trim, a style associated in the popular mind with the Old South. Its two-story north portico is modeled after the Potomac River façade of Mt. Vernon. 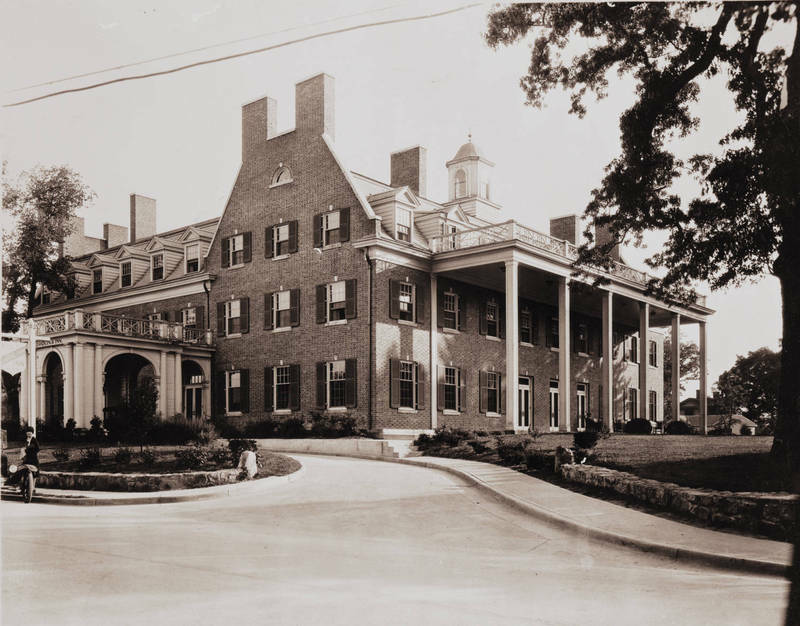 Hill gave the Inn to the university in 1935 and stipulated that its profits go to the library’s North Carolina Collection.